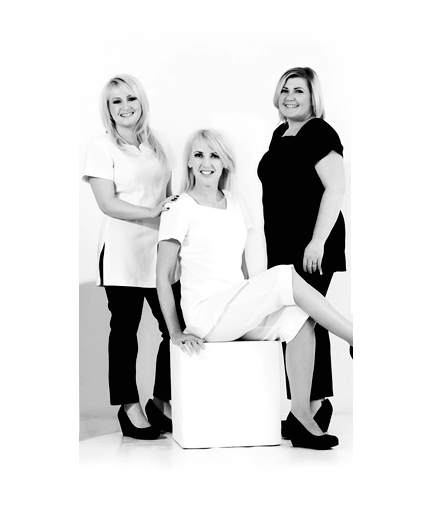 With the ever increasing popularity and convenience permanent cosmetics brings to so many, it’s no wonder Karen wanted to expand her team of Elite Permanent Cosmetics Artists. Not only did Karen aim to fulfil the escalating demand from her clients, she also wanted to ensure the high quality and elite treatments which have become associated with the Karen Betts name were always available. It is through her Elite team of Permanent Cosmetics Artists, that Karen’s high standards are upheld. Karen has personally selected and trained each Elite Artist, to ensure their work reflects the very best quality and standards throughout the permanent cosmetics industry. Under her watchful eye, her Elite Team have developed the expert skills, techniques and knowledge required to produce the very best and most optimum results for each and every client. Alongside Karen’s original team of Elite Artists which include Sue Farley and Jody Knight amongst many other reputable and recognised names in the industry, Karen has recently dedicated her time in training her newly appointed elite artists Vikki Banton, Jordanna Stringer and Liarna Yearwood, who are currently providing top quality treatments to clients in London, Yorkshire, Chesire and Surrey. Not only have Vikki, Jordanna and Liarna been trained and guided by the veteran herself, they have also learnt how to carry out treatments using the very best techniques and industry equipment. Karen’s new Elite Artists have also been trained using the new K.B Pro pigments which offer greater results and higher definition. With all of these elements combined it’s not hard to see why they are already delivering optimal results, and come highly recommended by Karen and clients alike.